Every DynaMarine airboat is unique, and every potential owner has their own idea of how their boat might look. To help you customize your Dyna to your style and imagination, we offer paint schemes and graphics to create just what you’re looking for. 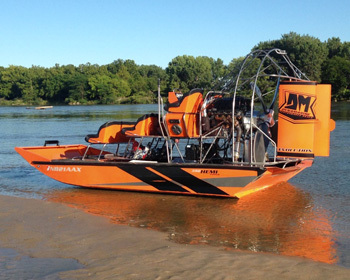 From functional, subtle and understated to bold, colorful and extreme, you can design your boat to match your vision. Start with a paint scheme as the foundation of your look. 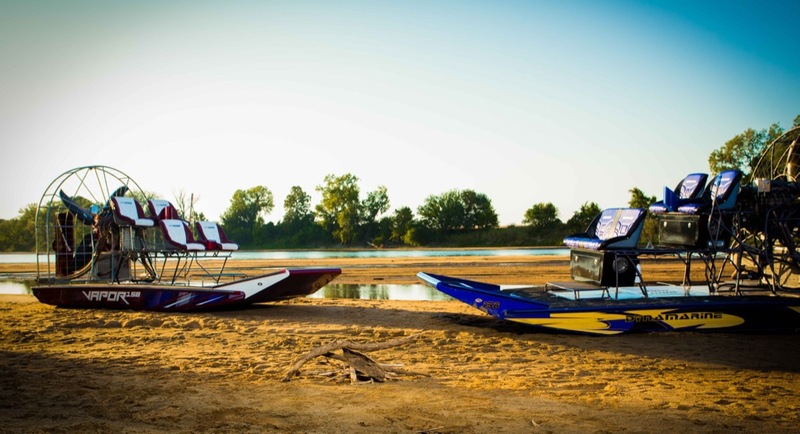 You can choose colors and finishes for the hull, rudders, cage, rigging, and even your trailer. Every paintable surface on your Dyna is meticulously prepped before painting to eliminate surface imperfections. For optimum brilliance, color and durability, we use only the finest marine-grade paints and powdercoat media. To go above and beyond a pretty paintjob, we also offer graphics packages to give your boat a totally unique style. Our design team can create a look for your Dyna that will undoubtedly set you apart from the crowd. We are also building a library of pre-designed Dyna factory graphics that can be color matched to your paint scheme. Or, you can start from scratch with an idea all your own and turn us loose to create a totally custom design for you. From mild to wild, we can create your Dyna to match your dreams.